Soup, that simple and tasty staple of many meals, is one of the best comfort foods – and this recipe is no different. In this dish, the earthy flavors of carrots and potatoes are combined with seasonings and spices to create a blend of flavor that satiates. While this dish will take a bit longer to prepare than going with something “off-the-shelf,” this recipe adheres to Paleo standards, something that nearly all canned and boxed versions fail to do with their inclusion of flour and other unnecessary additives. And really, fresh soup just tastes better. The best part about this recipe is that it is completely customizable to your tastes and preferences. If you prefer a thinner soup, just add additional vegetable stock or water. If herbs de Provence isn’t your style, replace it with your own spice blend to get the flavor you desire. You can also choose to prepare this dish with either sweet or russet potatoes. If you choose sweet, the dish will take a markedly sweeter flavor. 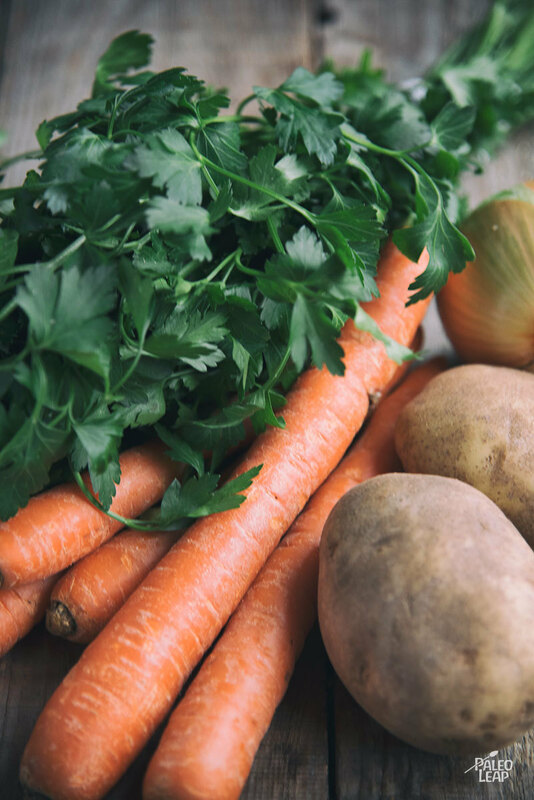 If you prefer an earthier taste, use russet potatoes – don’t worry, these work in the Paleo diet, and are fine to use as long as they work for you. 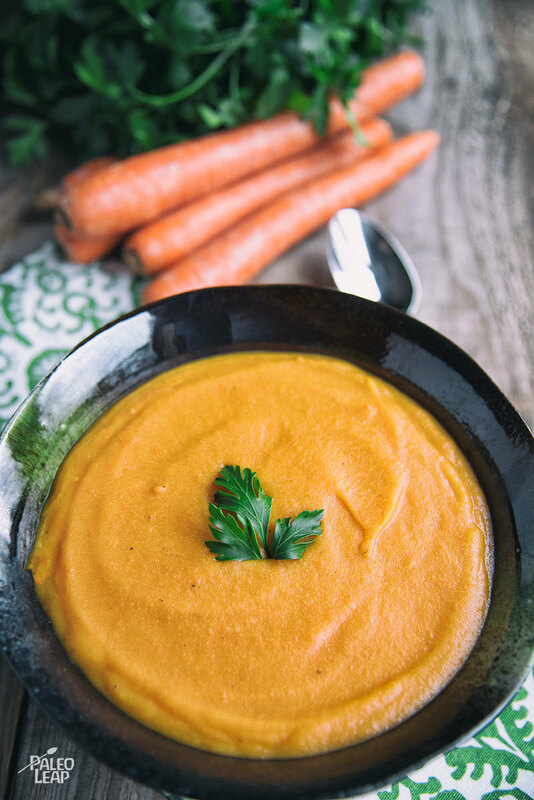 This carrot soup is best served warm, so serve soon after immersion blending is completed. If you are serving this with dinner, try pairing with a less complex dish like the Rosemary-Honey Roast Chicken. If you are making this recipe in advance to be used in lunches, try pairing with a yummy salad like the Steak Salad with Cranberries. Melt the cooking fat (about 1/2 tbsp.) in a saucepan over medium-high heat. Add the garlic and onion; cook 1 to 2 minutes until fragrant. Add the carrots and potatoes; stir continuously and cook until softened (4 to 5 minutes). Pour in the vegetable stock; add the herbs de Provence and season with salt and pepper to taste. Bring to a boil; lower heat to medium-low and simmer 20 to 25 minutes. Once done cooking, pulse the soup using an immersion blender until the texture is smooth. Be careful while blending to prevent burns. You can add more vegetable stock if you like a smoother soup.